My KitchenAid is still one of the best Christmas gifts I've ever gotten. I remember a few weeks before Christmas, Adam walked over to me and in a really quiet and serious voice he whispered, "promise me you will not check the Amazon order history." I made my promise, but I felt uneasy basically every day until Christmas morning (I typically do not enjoy surprises, which basically makes me the worst person to shop for). Christmas morning was a huge success and I was shocked! I think I had told him maybe once or twice that I truly wanted my own KitchenAid, and since he knew I was preparing to go professional with blogging and recipe development he wanted to support me in that way too. Lots of happy tears and ambush baking happened that Christmas--I think we ended up with so much extra cake that I ended up freezing the extras to make cake pops later on! Share this giveaway with your baking buddies! 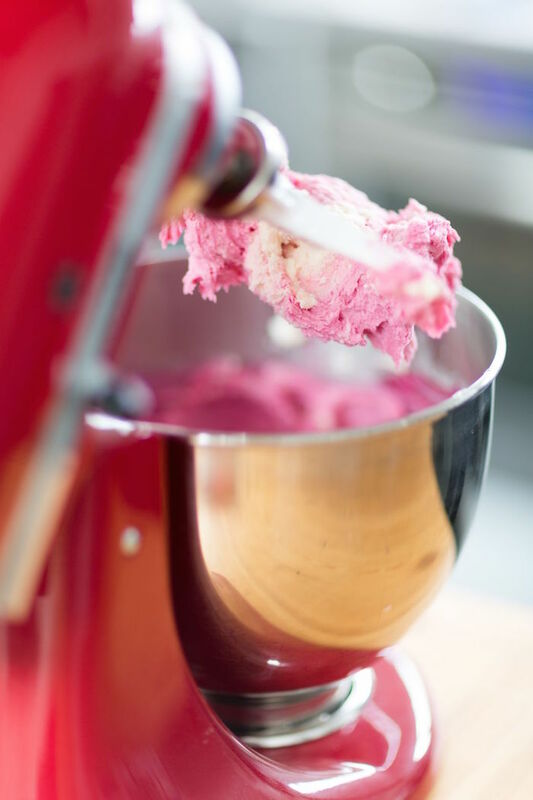 My KitchenAid mixer is one of my favorite gifts, too! We got it as a wedding gift and I was SO happy when I opened it up. I use it all the time! That's awesome! What a great wedding gift, too!